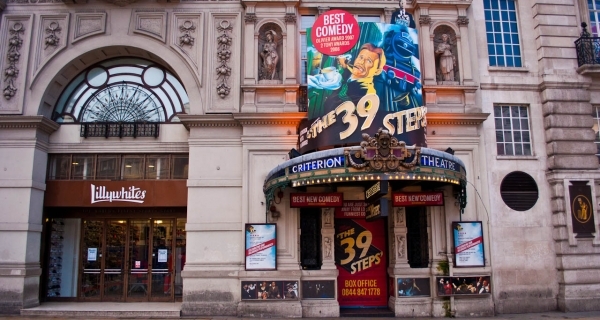 Opening on 21 March 1874, The Criterion Theatre spent its early years presenting several musicals and farces by W. S. Gilbert. The final piece, Haste to the Wedding, would introduce George Grossmith Jr. to the world of theatre. 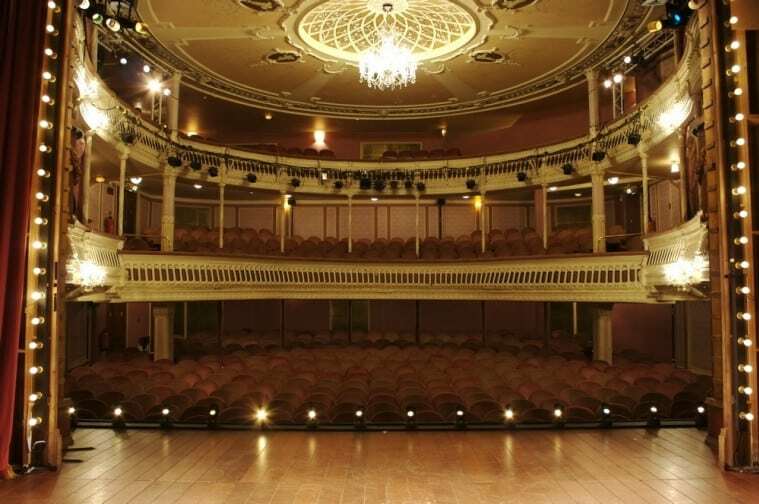 The theatre closed in 1883 for demanded alterations and refurbishments, which included pumping fresh air into the underground auditorium. In 1936, the theatre hosted French Without Tears, which ran for over a thousand performances and launched the career of a young Terrance Rattigan. Throughout World War 2, the theatre served as a studio for the BBC; its underground location making it the perfect safe spot to broadcast programs to the nation. The post-war years at the theatre saw two major productions transfer from the Arts Theatre, Anouih’s The Waltz of the Toreadors and Becket’s Waiting for Godot. 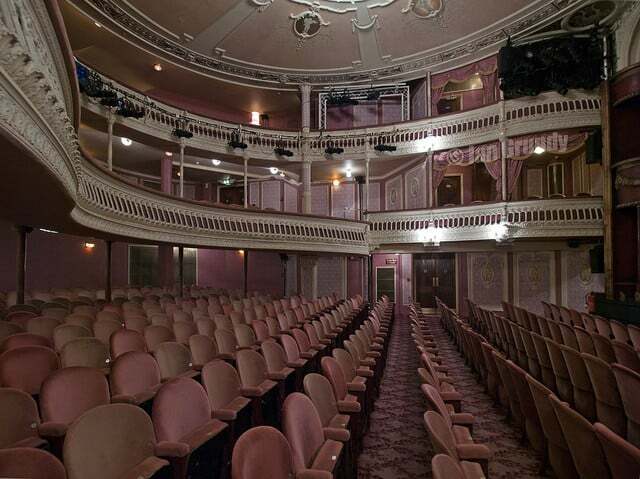 After avoiding closure in the 1970’s and 80’s, the theatre was renovated between 1989 and 1992, after the closure of the long running success Run For Your Wife (a farce by Ray Cooney). From 1996 to 2005, the theatre was home to the productions of the Reduced Shakespeare Company, who produced comical shows on the History of America, The Bible, and the works of the bard. 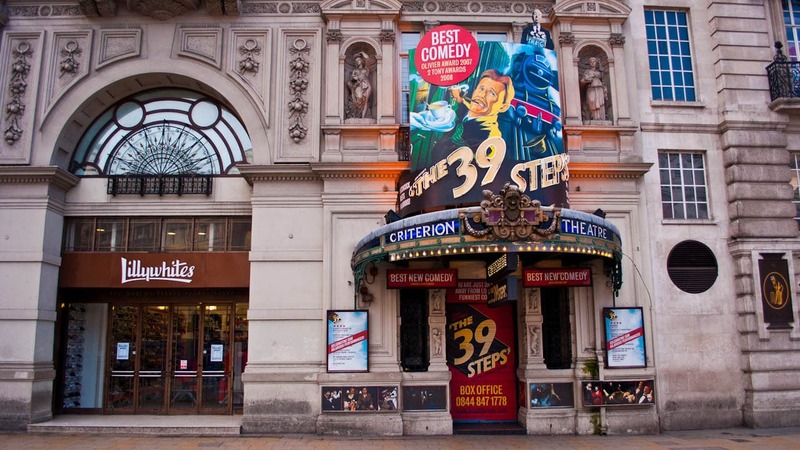 After a couple of short run productions (including, What the Butler Saw, Otherwise Engaged, and Mack and Mabel), The 39 Steps transferred from the Tricycle Theatre. The show has been successfully running for over seven years. Step free entrance and wheelchair spaces available. An adapted toilet is available in the stalls corridor. Assistance dogs are not allowed into the auditorium but theatre staff are able to look after up to two dogs per performance in the Theatre Manager’s office. 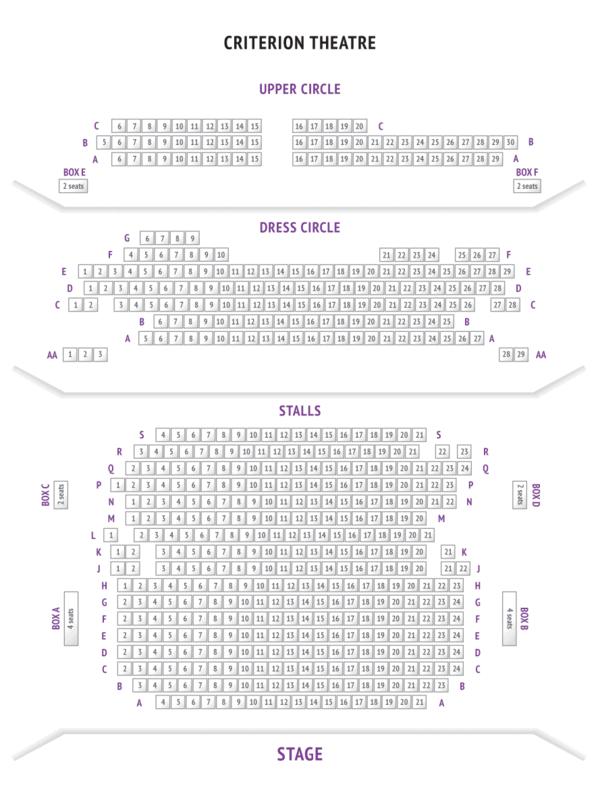 Audio described performances are also offered.